SeedsΧps's tweet - ". @PhilLempert , the 'Supermarket Guru' has been tracking trends in the food system for decades. At #SaC18, he'll share his knowledge, and his thoughts on the future of the food chain. You'll never look at the supermarket the same way! #FoodTech #FoodInnovation #FutureOfFood "
. @PhilLempert , the 'Supermarket Guru' has been tracking trends in the food system for decades. 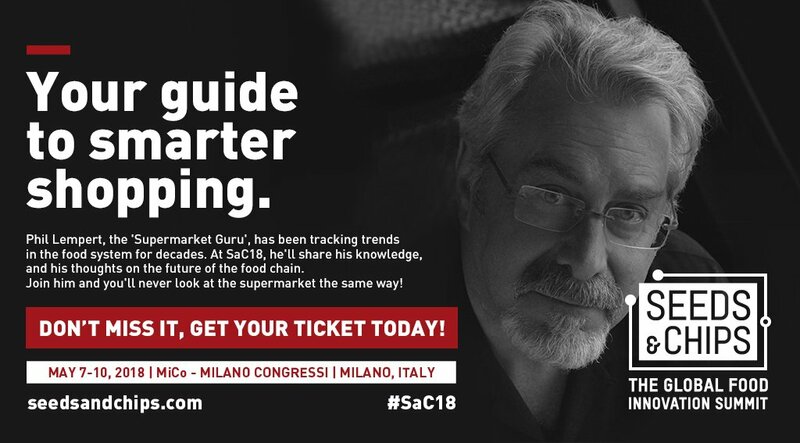 At #SaC18, he'll share his knowledge, and his thoughts on the future of the food chain. You'll never look at the supermarket the same way!